Would you believe me if I told you that the happier your employees are, the more successful your company will be? It may sound like the definition of a “Care Bear” management style, but study after study has shown that employee happiness has a direct correlation to your bottom-line. Companies with happy employees outperform the competition by 20%, and happy salespeople close 37% more sales. It’s hard to ignore those numbers. Companies with happy employees outperform the competition by 20 percent. Ok, I know you’re probably thinking, That’s great, Sean, but can I really create a happier work environment for my team without breaking my back? Well, today you’re in luck, because I’m not only here to tell you that yes, you absolutely can, but I’m also about to share with you my list of the top seven things you absolutely must be doing in order to create a happier, more productive workplace. Did you know that feeling unappreciated is the #1 reason why Americans quit their jobs? It’s true. So what can you do to ensure your team is being consistently recognized for their hard work? Create a system that makes it easy. At SnackNation, we hold a “Crush It Call” every Friday. It goes like this: our entire team gathers around in a circle and we go around the room calling out someone whose work we want to recognize (i.e. “someone who “crushed it” that week). You can also create a monthly or quarterly award for the team member who most embodies your core values. Brand it with something inspiring to communicate the intent behind the award (for instance, at SnackNation, the entire team votes every month to name the “Value Victor”). Boost morale and spot hidden rockstars in your organization with 15Five’s High Fives Dashboard. I also highly encourage impromptu praise. Send out an email to the company when you notice someone going above and beyond, or give it a personal touch by writing them a handwritten note. The unexpectedness of the gesture will give it greater impact. In my opinion, you can never, ever underestimate the power of a handwritten note (especially when sent to your employee’s home). No one wants to feel like their work doesn’t matter. In order to make work fulfilling, you first have to know the purpose behind your organization. Why do you exist? What purpose does your company serve and who do you help? Once you can answer these questions, then you can map how each individual’s contributions help drive the company closer to fulfilling that purpose. You can literally write down and illustrate how each team member’s’ role is critical for the company to fulfill its purpose. Even if you’re in a commoditized industry like insurance, there are still ways to give your organization purpose. Zappos is a great example. They sell shoes and clothing online, but their mission is to “deliver happiness.” All new hires at Zappos spend two weeks fielding customer service calls, no matter which department they’re going to be working for. This ensures that everyone sees the value of their work – “delivering happiness” to their customers. If you automatically assume that paying people more is the key to making them happier, guess again. A recent study found 16 unique perks that employees value over a pay raise. This is especially true of millennial workers, who see compensation more as a threshold than a scorecard. So what does move the needle? Perks that improve quality of life and demonstrate that your company cares about employees, things like health and wellness programs, child care, and unlimited vacation. This shouldn’t come as a surprise – it’s the reason you see top companies like Google, Facebook, and Apple offer extensive perks to keep their teams happy. I’m a huge believer that personal development is a basic human need, and that your employees need to constantly grow in order to feel fulfilled. When employees feel stagnant, that’s when many start scrolling through the job boards in search of something new. – Subsidize education for team members who want to take classes, purchase online courses, or attend industry conferences to improve their skills. – Host “lunch and learns” where a team member presents on a topic he or she is passionate about. – Start a book club or crowdsource a library. – Launch a company-wide Individual Development Plan (IDP for short) where employees come up with four personal and four professional goals that they want to achieve by the end of the year. From there, the manager and employee break down each goal into component parts, setting quarterly and monthly benchmarks. Dates are set so the employee has a realistic pathway to achieving her goals. Having ongoing fun events at a set cadence, gives your team the chance to connect with their coworkers on a more personal level. Offsites are one of my personal favorite ways to get people mingling, but you can also do things like a Happy Hour once a month or half-day Fridays in the summer to hang out together. The magic of a summer beach day with the team cannot be overstated! While a health lecture may sound like a decent idea to help people improve wellness, it’s not something that will get your team excited. For wellness to work, you have to get buy-in and make it something that’s enjoyable for your team. Yoga, healthy potluck lunches, steps/fitness challenges with Jawbone tracking devices, or awesome healthy snacks have all been a hit at most companies we work with. Here are 121 more wellness ideas if you’re looking for some new inspiration. Your team wants to be trusted. They want to be given responsibility because it shows that you’re confident in their abilities. Trust means micromanaging less, but also creating accountability to ensure things are getting done. You spend a chunk of your waking hours at the office, shouldn’t that time be fulfilling? What does this look like in practice? Try a flexible or unlimited vacation policy, where you offer your employees to take as much time as they need to rejuvenate as long as they are hitting their goals. Most of you spend a large chunk of your waking hours at the office, shouldn’t that time be enjoyable and fulfilling? Build trust, incentivize wellness, appreciate employees and implement the other suggestions above to create a happier and more productive workplace. 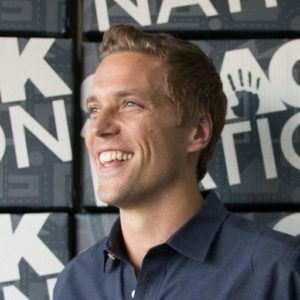 Sean Kelly is the CEO of SnackNation, a healthy snack delivery service for offices across America. Sean is also the founder of AwesomeOffice.org, an association dedicated to helping companies maximize employee engagement, productivity and wellbeing.